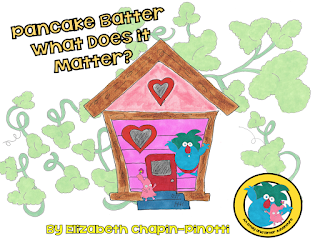 Stories to enjoy in the classroom or at home. Great new literature -- all free. It is our goal to create a world of readers -- one story at a time. 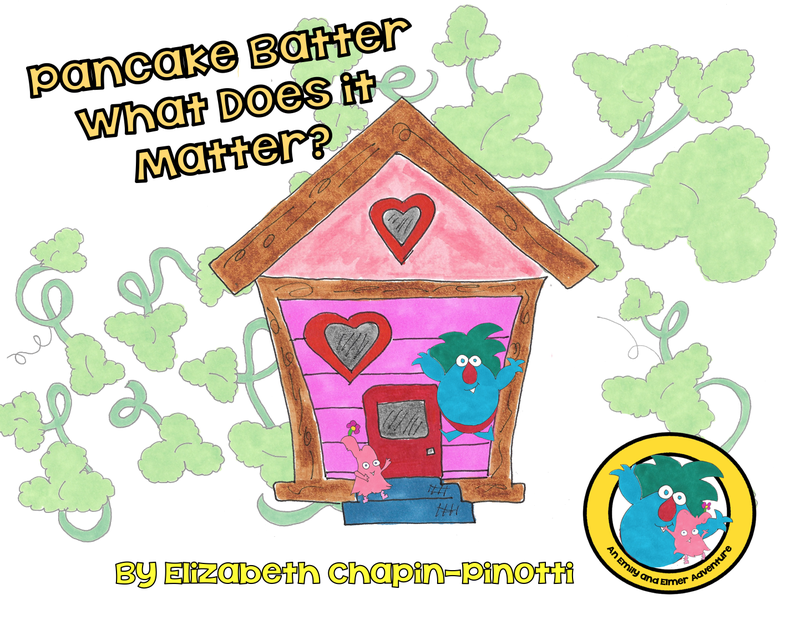 The Adventures of Emily and Elmer brings you: "Pancake Batter: What Doe it Matter?" 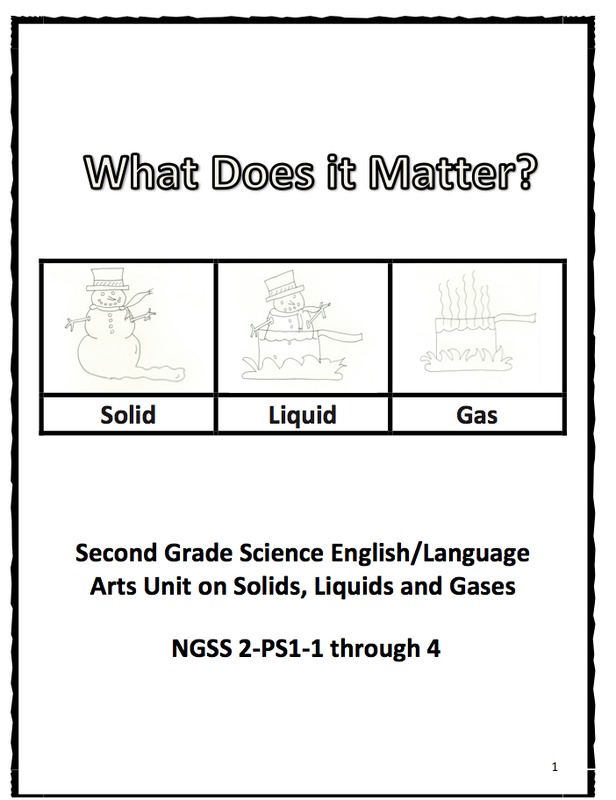 Whisk up the three states of matter for elementary students with this edu-taining video/ read along and links to two multi-unit lessons. to be conducted over two days. 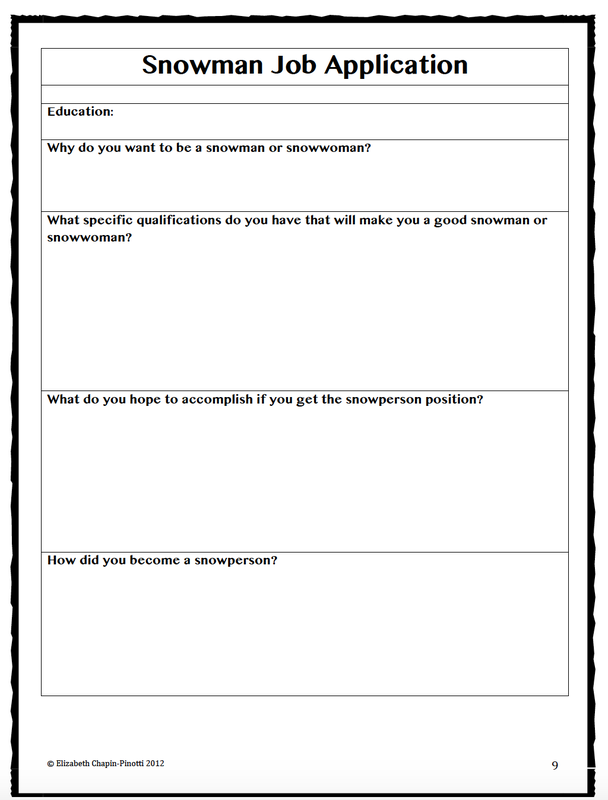 The labs contain student template pages and are differentiated for different aptitude level. 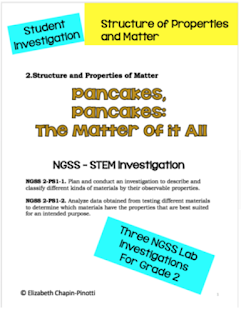 This unit also contains a teaching PowerPoint on the Structure and Properties of Matter. Pancake ingredients classified into solid or liquid. Heating the liquid batter turns it into a solid. Students will form a hypothesis as to whether or not this solid will turn back into a liquid and test their hypothesis. Students will explain their experiments. 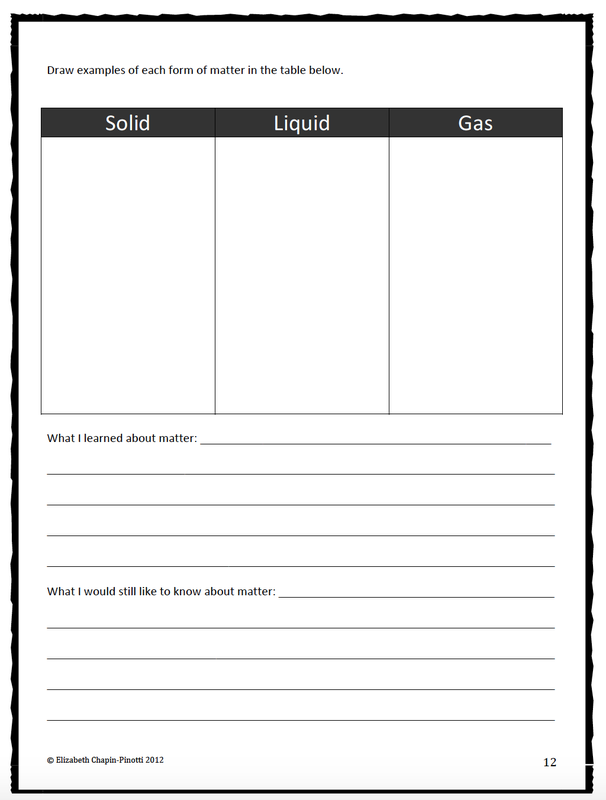 Another great Unit on Matter: What Does if Matter is available on my teachersnotebook.com. 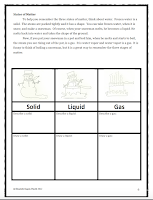 Experiments, activities, student templates, observation sheets, snowmen and matter, compare and contrast template, guided reading activity and more! 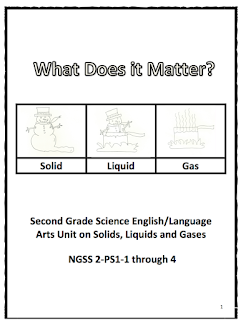 Everything an elementary student needs to know about matter. Common Core State Standards aligned for 2nd and 3rd English Language Arts. 2-PS1-1 Plan and conduct an investigation to describe and classify different kinds of materials by their observable properties. 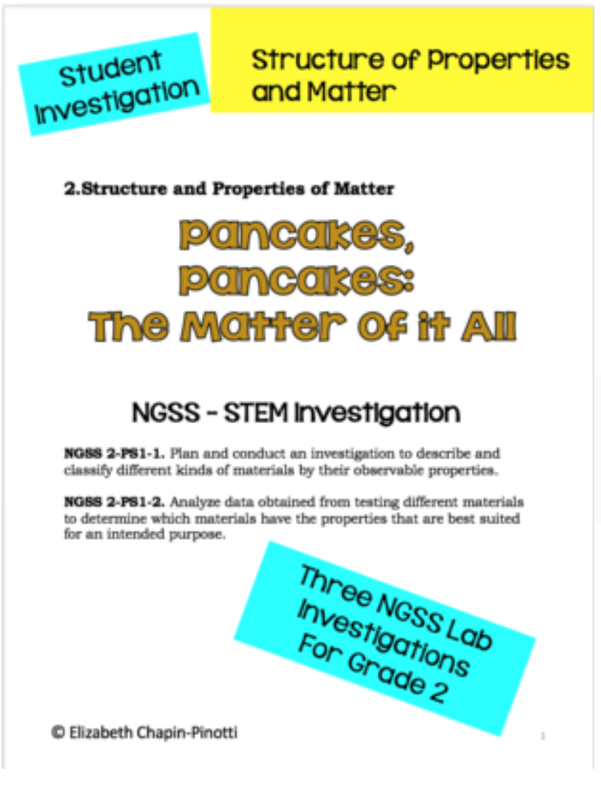 2-PS1-3 Make observations to construct an evidence-based account of how an object made of a small set of pieces can be disassembled and made into a new object. 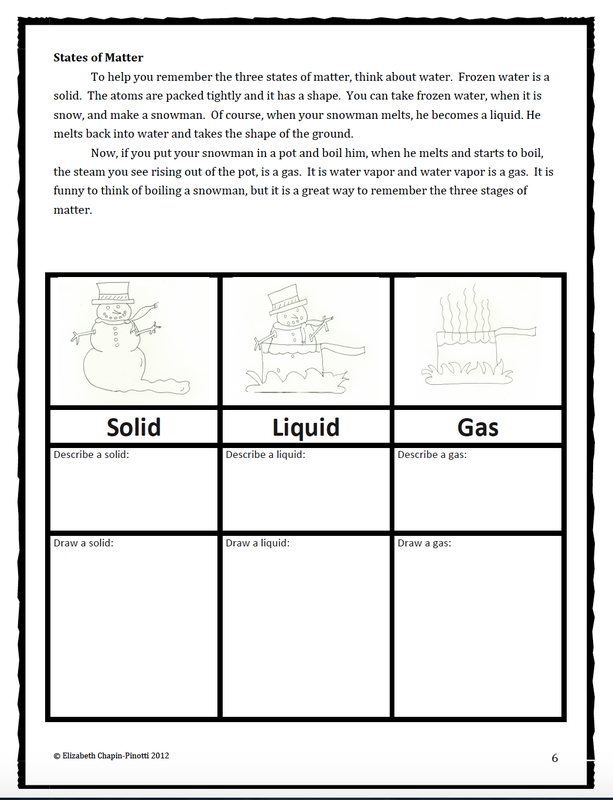 2-PS1-4 Construct an argument with evidence that some changes caused by heating or cooling can be reversed and some cannot. A Story About Holiday Traditions: Kwanmisadomakuh Big Time!